Every Maker needs a mark, so we had this one commissioned for John from the Pirate and Green Parrot shop on Etsy. This is a one inch wide circular stamper for leatherwork. 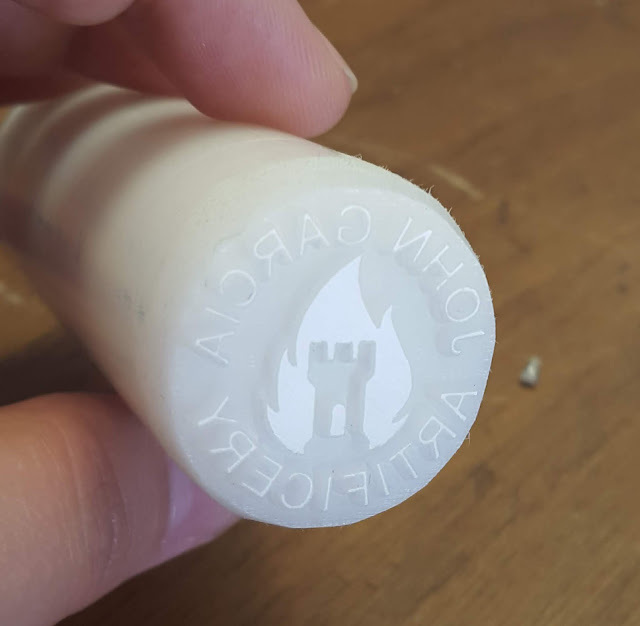 We sent in the high-res image of John's self-designed logo and the text we wanted, and a few weeks later (it takes a while because they are custom made) we received the stamp! 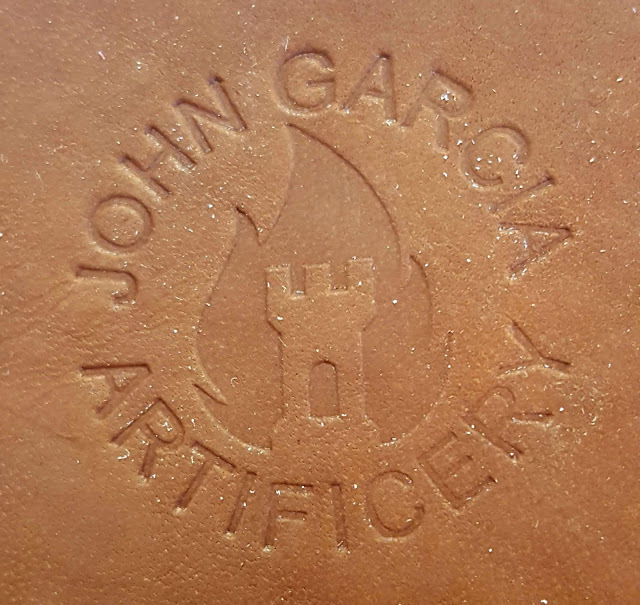 I think it looks great and I can't wait to see it stamped into all of John's custom leatherwork projects in the future!